Rev. Manley Beasley, Jr. serves as the Senior Pastor at HSBC. Pastor Manley has been leading, preaching and modeling Christ at HSBC since 2006. Manley is a native of Port Neches, Texas. He and his wife Shirleen have two children, Chris and Amber, and three grandchildren. Manley felt a calling from God and surrendered his life to the ministry in 1973. He earned his Bachelor of Science from Dallas Baptist University and his M.Div from Southwestern Baptist Theological Seminary. Manley has served as a student pastor, associate pastor, executive pastor and senior pastor during his time in the ministry. Manley also serves on various committees and task forces for the Southern Baptist Convention on all levels, including State and National. In his spare time Manley enjoys spending time with his grandkids, sports and spending time with friends. Rev. Mike Smith serves as the Pastor to Senior Adults and Pastoral Care at HSBC. Mike has been married to his wife Brenda for over 40 years and they have two children, Mike Jr. and Michele. Mike grew up in Jacksonville, Florida. At the age of sixteen he felt God’s call on his life and surrendered to full time ministry to go do whatever God’s will was for his life. Mike earned his ThG from Tennessee Temple University in Chattanooga, Tennessee and began working in ministry in 1978. Mike served on three church staffs and had the privilege of being the Senior Pastor of two churches before joining the staff at HSBC in April 2013. In his spare time Mike and his wife Brenda love to travel, love water activities and spending time with their children and grandchildren. They have most recently purchased a 1998 Corvette that they enjoy taking out for short trips. Mike and Brenda have been involved in the ministry for almost 40 years now. They love people, the Church, and most of all they love serving their Lord Jesus Christ. 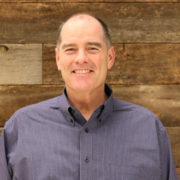 Kevin Dutton serves as the Family & Children’s Pastor at HSBC. Kevin, aka Captain Kev, joined the staff at HSBC in August 2006. Kevin grew up in Euless, Texas. He and his wife Jana have two children, Thomas and Nathan. 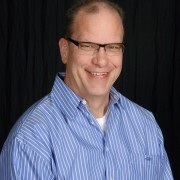 Kevin received his Bachelor of Arts in Bible with an Emphasis in Missions & Evangelism from Criswell College in 1989 and studied Religious Education at Southwestern Baptist Theological Seminary from 1989-1992. 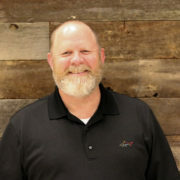 Kevin has previously served as a Pastor of Education & Outreach at First Baptist Church Smithville, Texas; Pastor of Education & Evangelism at Abilene Baptist Church, Georgia; Pastor of Youth, Education & Evangelism at Calvary Baptist Church, Texas; Pastor at New Hope Community Church, Texas; and Pastor to Children at New Community Church, Oklahoma. 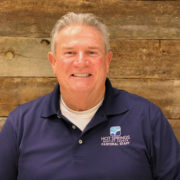 In his spare time Kevin enjoys spending time with his family, Holiday get-togethers, watching sports, hunting, fishing, camping, gardening, cooking and just being with people. Rev. Tad Moore serves as the Pastor to Students at HSBC. Tad grew up in Benton, Arkansas and began working in ministry shortly after graduating high school. 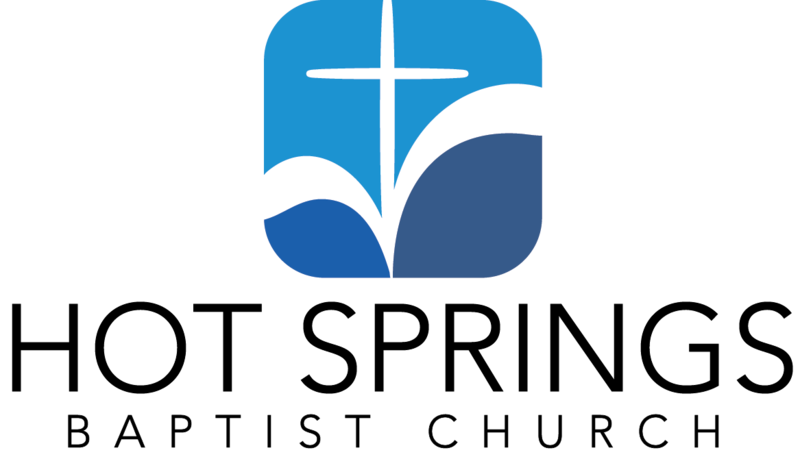 Tad’s first ministry position was in the summer of 2000 at Leonard Street Baptist Church. Tad previously served as the Student Pastor of Trinity Baptist Church Benton before joining the staff at HSBC. Tad currently serves as the Pastor to Students. 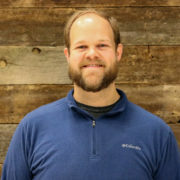 Tad earned a Bachelor of Arts in Christian Ministries from Ouachita Baptist University in 2003 and is currently working toward his Master of Divinity from Southwestern Baptist Theological Seminary with an expected completion date in 2017. Tad and his wife Anna enjoy hiking and spending time outdoors. 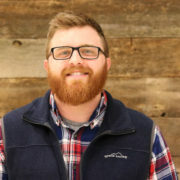 Chad Race has served as the Student Pastor since October of 2017. Chad is originally from Dardanelle, Arkansas. He and his wife Kati have two young children, Elijah and Eden. 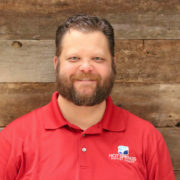 Chad graduated with his bachelor’s degree from Arkansas Tech University, and received his master’s degree in Theological Studies from Midwestern Baptist Theological Seminary. Chad began working in ministry roles directly out of high school. He has served in childrens, student, and college ministries. He loves the outdoors, sports, and spending time with family and friends. His hope is that by God’s grace he will produce authentic disciples that go and make authentic disciples. 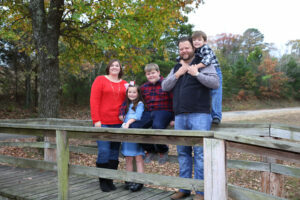 Chad has served at First Baptist Prairie Grove, prior to that he served as Student Minister at First Baptist Clarksville. 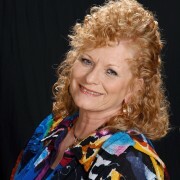 Debbie Beasley serves as the Preschool Director and Ministry Assistant at HSBC. She has served at HSBC since 2011 but began working in ministry in 1972 as a church intern. Debbie is a native of Beaumont, Texas and received her BA in Christian Education Psychology/Counseling from Dallas Baptist University in 1983. She felt the call to be a part of ministry as a teenager. She wanted to be a part of anything that led people to Jesus. She says she has been fortunate that God has led her to many areas of ministry. 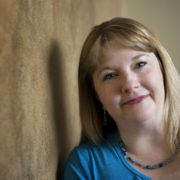 She has worked in the Evangelistic Association, done mission work in Europe, was on the Youth Staff at First Baptist Church Euless, Texas, was an assistant at Gospel Harvester Association and served as the Director of the Crisis Pregnancy Center at Sherwood Baptist Church in Georgia. She says she has never found anything that says as a Christian we can retire so she will continue to find ways to minister to people until God calls her home. In her spare time Debbie enjoys water coloring, crafting, repurposing old furniture, antique shopping and spending time with family. When asked if there was anything interesting people may want to know about her Debbie said “Back in the day I was a Barrel Racer. I also won trophies/medals for shooting with a .22 Bolt Action Rifle. Karen Chadick has served at HSBC since 1999. She is the Ministry Assistant to Pastor Manley Beasley, Jr. and Pastor Mike Smith. Karen and her husband Dale live in Hot Springs and have two children, Austin and Lauren (Lauren went to heaven when she was 8 years old). Karen has worked in ministry since 1987. In her spare time she enjoys gardening, singing and going to flea markets. Jennifer Lively serves as the Financial Secretary at HSBC. Jennifer joined the staff at HSBC in June 2003. Prior to coming to HSBC she served as a Bookkeeper at First Lutheran Church in Hot Springs, an Administrative Assistant at Arkansas Nephrology Services, a Legal Assistant to John P. Lewis and as Personnel Director at Magic Springs Family Theme Park. Jennifer is a lifelong resident of Hot Springs. 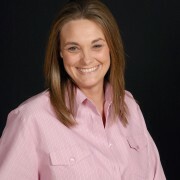 She currently resides in Hot Springs with her husband Jeff and her son Skyler. 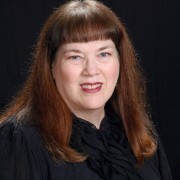 Jennifer earned her Associate of Applied Science in Secretarial Science, Technical Certificate in Office Administration, and Technical Certificate in Word Processing in 1995. She went on to earn her Professional Ministry Assistant Certification in 2012. Jennifer is a former member of the local, state, and national chapters of the Legal Support Professionals Association where she served as the State Director for Garland County in 1997 and the President of the Garland County Chapter in 1998. She also received the Garland County Legal Support Professionals Outstanding New Member Award in 1997 and the Garland County Legal Support Professionals Award of Excellence in 1998. In her spare time Jennifer is a team leader for Tupperware, where she enjoys helping others save time and money while sharing her passion for cooking and organization. Audrey Swint has served as a Ministry Assistant at HSBC since December 2013. Audrey is a native of Lonoke Arkansas. 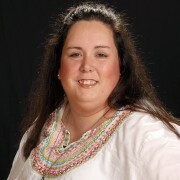 She earned her Associates of Applied Science in Computer Information Systems from Ouachita Technical College in 2004. Audrey enjoys riding motorcycles in her spare time and currently serves as the Treasurer for the Arkansas Honor Ride. She also enjoys going to the lake and beach and spending time with her family and friends. 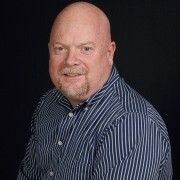 Mark West joined the staff at HSBC as Special Event/Maintenance Coordinator in 2007. Mark and his wife Karen reside in Hot Springs and have one son, Ryan. Mark was previously a USAF BCN Warfare Weapons Specialist. He has also owned several businesses including Service Wire Specialist and West 63rd Catering. In his spare time Mark enjoys playing with his grandsons, Sylas & Gryffin, traveling with his wife Karen, running and shooting.